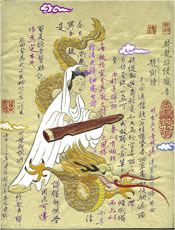 My great love in music is the qin – the most ancient Chinese stringed instrument. When I first heard this instrument, not only was I captivated by its heavenly tunes, I was also fascinated by the players’ fingerings and sophisticated hand choreography. I’d never heard music so simple and soft, yet powerful! 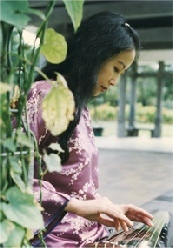 In my novel Peach Blossom Pavilion, the courtesan Precious Orchid, is an accomplished qin player. This will be the first time that the qin is depicted in a novel published by a mainstream US publisher. 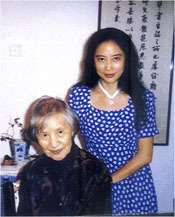 I was very lucky that one of the last masters of the ancient tradition, Mme Tsar Teyun, lived in Hong Kong and accepted me as a student. She was one of the few alive who had been trained in the refined style of the scholar-artists, the subtle aesthetics of which she cultivated throughout her 103 years of life. From her I received transmission in the traditional manner, now all but overwhelmed by brash new styles that are loud and showy, but less poignant. This lets me play a part in preventing the precious heritage of the qin from vanishing altogether. For my research, I’m particularly interested in the qin’s aesthetics and philosophy. I like to compare the different fingerings with images in nature, exploring the relationship between the qin and painting, calligraphy, and poetry. 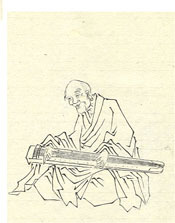 Cultivation through qin playing to promote longevity and virtue, fascinate me endlessly. When I am not writing or doing research, I spend many hours playing the qin. 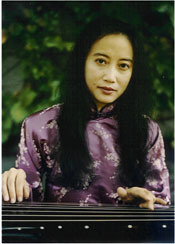 I particularly enjoy performing on the qin, playing Confucian, Daoist and Buddhist pieces. For some pieces I accompany the instrument with my own singing in traditional Chinese style. My qin repertory contains about fifty pieces, including my own compositions. While I enjoy the after-flavor of elegant, quieter works such as Pleasant Evening, Geese Descending on Sand Bank, Remembering an Old Friend, Parasol Leaving Dancing in the Autumnal Wing, I also get tremendous pleasure from virtuoso ones like Flowing Water, Evening Cry of the Raven, Evening Song of the Drunken Fisherman, Soaring Dragon, Four Seasons, and Spring Wind, a contemporary piece with melodies from Xinjiang. My musical style has been praised as being subtle and free-flowing, and my fingerings elegantly complex. In recent years, feeling that traditional qin songs lack the popularity and attention they deserve, I have begun to compose songs for the qin, using both traditional and my own poems as lyrics. My works are widely performed in China and the US, most recently at the City University of New York. I have composed twenty qin pieces to accompany famous Chinese poems, including Li Bai’s Drinking Alone under the Moon, Ouyang Xiu’s The Butterfly Adoring the Flowers, Li Yu's Beauty Yu and Joyful Encounter, Li Qingzhao’s Sound of Lament. The qin (pronounced chin) produces a delicate sound from seven silk strings. 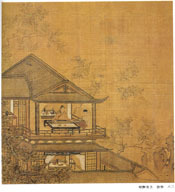 It was considered one of the four artistic pursuits, along with calligraphy, painting and poetry. Intended for self-cultivation, the qin is basically a quiet instrument with subtly-nuanced tones. 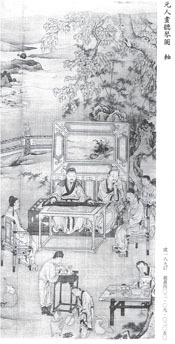 In old China, it was regarded as “elegant” music as opposed to “vulgar” music such as that of the zheng (16 stringed zither), and pipa (4 stringed lute) as well as folk ditties generally. Favored by the elite as an elegant pastime, the qin was also played as a means to nurture virtue and longevity, Confucian and Daoist influences respectively. Rituals were practiced before playing; these included: washing hands and bathing, putting on modest clothes, adopting a respectful countenance, and burning incense to purify the air and the mind. All were performed to show respect for this revered instrument, the Dao (Way) it embodies, and to communicate with heaven and earth. 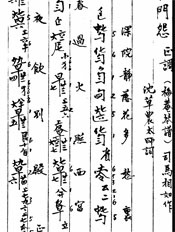 The influence of Buddhism, though not as dominant as the other two, can be found in pieces such as Incantation of the Monk Puan, Heart Sutra, Naluo Dharma Song, and a few others. 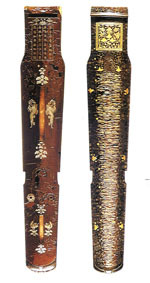 The earliest qin is 2500 years old, found in an nobleman’s tomb. The earliest known composition is Youlan, Solitary Orchid. 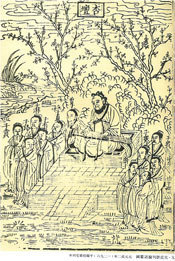 The title refers to Confucius, whose wisdom received no official recognition during his lifetime. While playing this piece I always imagine orchids swaying in the breeze symbolizing the lonely melancholy of Confucius. I feel as if I were eavesdropping on the great philosopher’s most intimate thoughts from more than two thousand years ago! 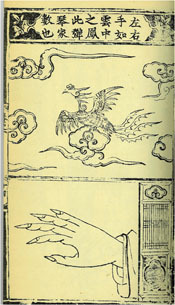 While the qin’s timbre is pure, simple, and tranquil, close to the spirit of Zen, its complex fingerings and many-nuanced tones can depict diverse events and emotions such as vigorous flowing water, passionate yet subtle feelings of patriotism (Water and Clouds above the Rivers Xiao and Xiang), the boisterous cawing of ravens (Evening Cry of the Raven), and even assassination as in Guangling San, about the revenge of the swordsman Nie Zheng. The subtle tones of the qin are realized by its complex and sophisticated fingerings which, according to theory, amount to almost a hundred. While playing, interaction of the two hands creates an elegant, harmonious choreography, a visual pleasure comparable to ballet. Besides instrumental pieces, the qin can also accompany singing. Many of the works of the great Chinese poets such as Wang Wei, Bai Juyi, Li Bai, Su Dongpo, and Li Qingzhao have been set to qin music. Subjects include: love, parting of friends, lamenting the pains of existence, spring outings, the changing seasons and everyday activities such as pounding clothes. Starting from the Cultural Revolution (1965-1975), new qin music has tried to break away from traditional repertoire by composing pieces aiming at being extroverted. Instead of playing the qin for quiet enjoyment and inward, subtle pleasure, the new purpose is to render qin music accessible to workers, farmers, and soldiers – the proletarian group. This trend has resulted in styles with louder sound, and an emphasis on showy virtuosity. The traditional silk strings are replaced with metal ones, and amplifiers are used. The qin piece in the movie Hero is a product of this trend. Recently the qin was designated by the United Nations as part of humanity’s intangible heritage. This international recognition has caused the qin’s popularity in China to surge. Instead of being played mainly for self-cultivation, the qin is now played for mass entertainment in big concert halls, even by rock groups. Playing in competitions, or for fame and monetary gain, are all contrary to the Confucian ideal. A greater contrast cannot be imagined to the traditional way of a few like-minded friends sharing the qin’s subtle tones in a relaxed intimate setting called a yaji—elegant gathering.